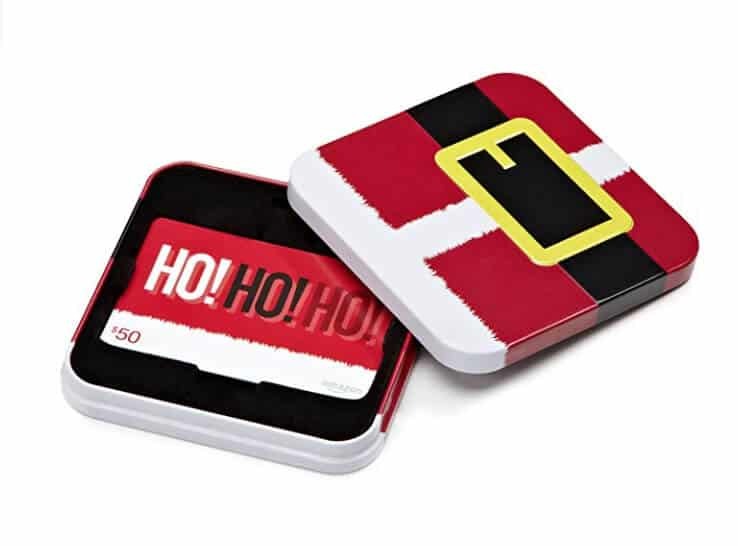 Looking for Gifts Ideas for People Who Have Everything? Need a gift for someone who seems to have everything or needs nothing?! Or how about a person who’s a minimalist and wouldn’t want more stuff around the house? These people are HARD to buy for, but we still want to treat them with thoughtful and unique gifts. So, I have done my homework and compiled a list of the perfect gifts you can buy for your person who has everything! This post contains affiliate links. Disclosure info here. 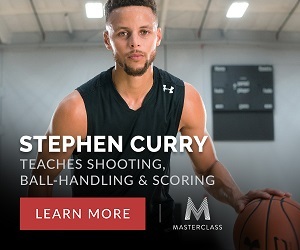 Masterclass – Online Lessons from a Pro! Access to over 35+ courses taught by true professionals. Whether you’re buying a gift for someone who wants to take their cooking skills up a notch, would like to learn photography, is interested in writing their first book, wants to learn the art of comedy, how to learn poker or learn acting and directing – there are honestly courses for people with all interests. Check out all the classes here. I also encourage you to click through each of the banners below and check out the videos. What they offer through these courses is pretty amazing! Is similar to Masterclass, but focuses more on creative skills. It’s perfect for every creator on your list and the variety of classes are amazing! Over 1500 classes that include art & design, photography & video, music & audio, money & life and craft & maker classes. Classes are taught by well-known professionals in each field, including video and course materials, plus well thought out, inspiring lesson plans. There are a variety of prices for all budgets starting around $17. You can also get the Creators Pass for $299 which gives access to 1500+ classes ($25 a month). This is the perfect last minute gift as it’s printable! 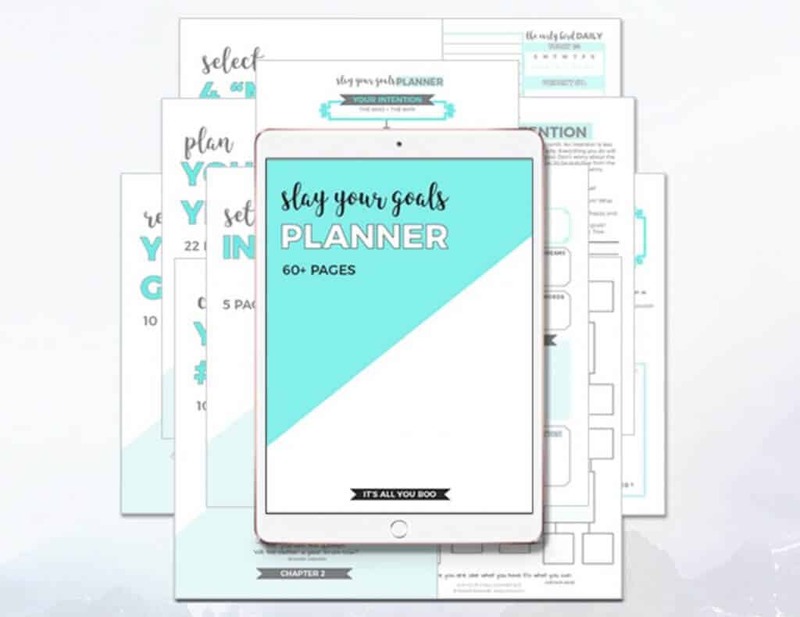 This amazing and detailed goal planner is ideal for those who really want to focus on their year in more detail. Just $27! 4 pages for setting mini goals and 8 pages to review goals. It’s about creating the life you love and making it happen now. No more putting things off to tomorrow or not believing you can do things! This is a book I loved and plan to read again. Pick up the You Are A Badass, hardcover, which is a perfect gift or the paperback. For anyone interested in natural living and using essential oils in various parts of their oil lives, this is an extremely impressive gift! The starters kits include a beautiful diffuser, 15 single oils, 5 oil blends, a natural hand sanitizer, a bonus Black Spruce essential and NingXia Red sample juices. How to Buy: You have 2 choices. 1) Select Member and get 24% off (wholesale pricing), then click next. You will then have a starter kit to choose from 2) Select Retail Customer, then click ‘product catalogue’ and simply add individual items to the cart. If you’re going the route of a starter kit, you can choose from 4: I recommend the Premium Starter Kit with Desert Mist Diffuser (seen below) or Premium Starter Kit with Dewdrop Diffuser. In the US the Premium Starter Kits start at $160, in Canada $199 and the UK £139. 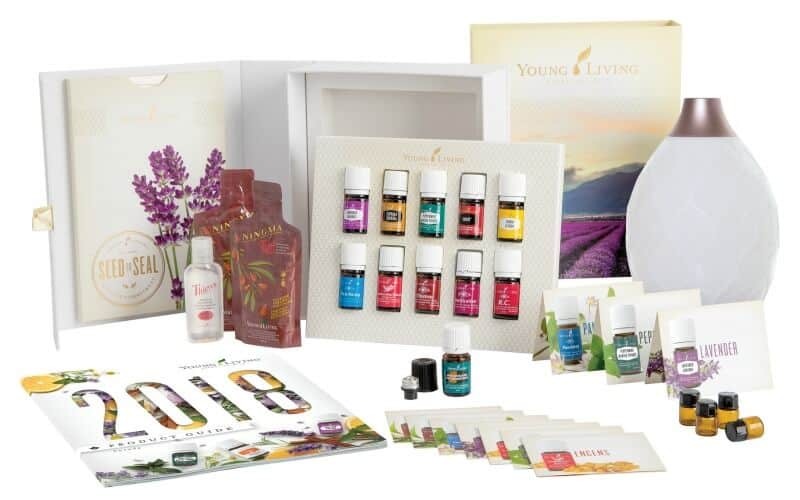 Order the Essential Oils Starter Kit or other oils and natural products here. You can also email me at putthekettleonca@gmail.com with your questions and order requests and I will process for you right away. Note! I’ll also be here to share important resources that you can share with the person you are buying for. 34 complete eCourses, eBooks and printables to give you the skills and confidence to use herbs & essential oils for staying healthy, supporting the body in illness, non-toxic cleaning, beauty and relaxation and more! If you know someone who is looking to do something different to reclaim their health then this is the perfect gift for them. Learn more about the Herbs & Essential Oil Bundle here. **The Deal** $567 worth of materials for just $47. If you know anyone who loves tea (like I do), this is the ultimate gift! You can send a themed box every month to a family or friend, which includes 5 premium loose leaf teas. No matter your budget, something is available. Check out Gifts for under $20, beautiful rustic tea mugs, best sellers and so much more. Ideal for your friends and family who suffer from anxiety or need to find ways to find their calm. 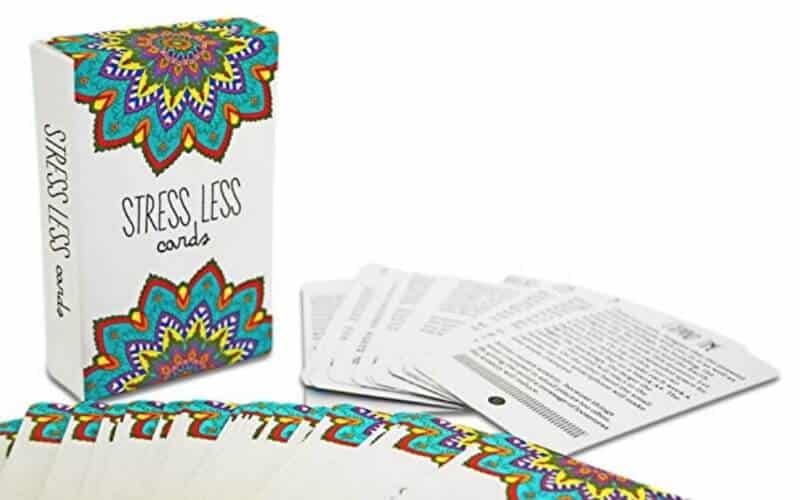 The Stress Less cards include 50 different exercises/techniques to help reduce stress. These are even recommended by health care professionals as something to keep on hand when needed most. You can grab them on Amazon. This is so perfect for a close loved one. Make them a photo calendar showcasing memories from the past year, or a stunning canvas print of their family, pet or a special occasion. I also think photo mugs are a great gift for children to give a parent or grandparent. Check out the lovely canvas print of our family from our wedding day. Such a perfect gift for so many people. A newlywed couple who are planning to travel, your friend who’s been backpacking the world, or your child who’s keeping track of family travels. Available on Amazon. 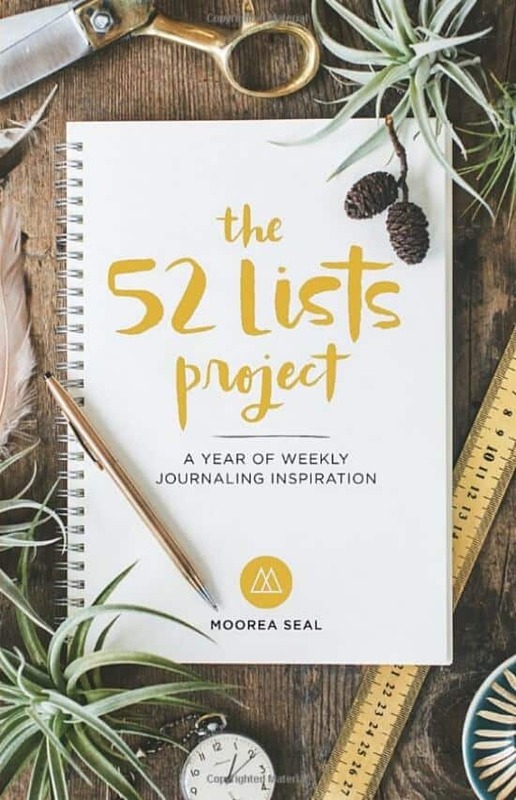 The 52 Lists Project is a gratitude journal with a list for every week of the year. Perfect for a loved one who might have been having a hard time recently or someone who loves lists and journalling in general. 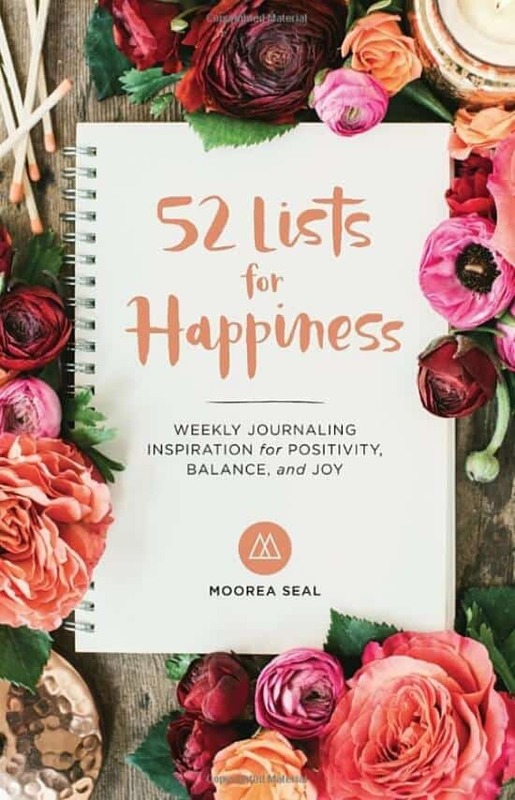 The 52 Lists for Happiness is a beautiful journal with 52 listing prompts encourages readers to reflect, acknowledge and invest in themselves, and ultimately transform their lives by figuring out exactly what makes them happy. Available on Amazon. The perfect gift to practice gratitude every month of the year. 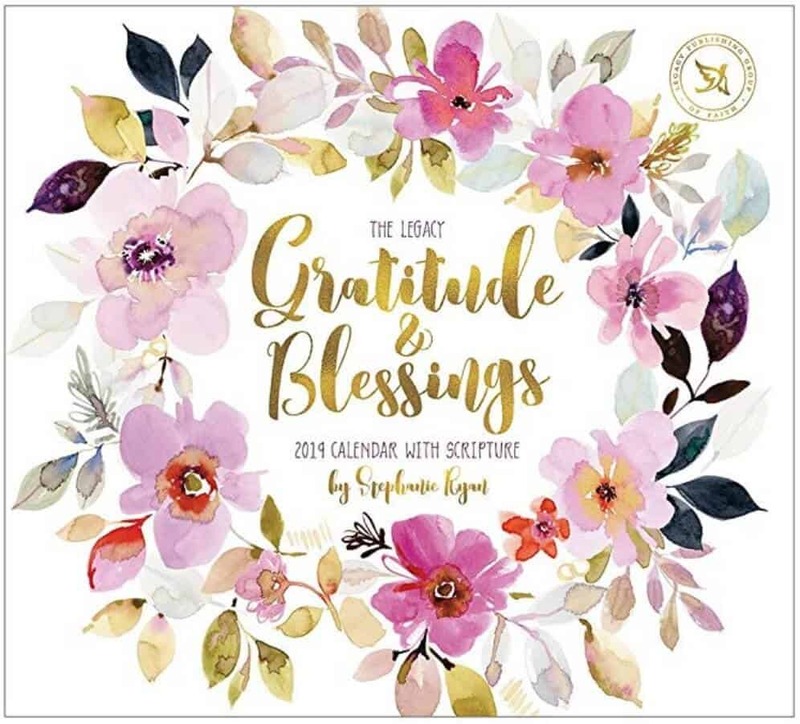 This beautiful calendar has different artwork every month with simple reminders on how to be grateful. Available on Amazon. If all else fails, do you know anyone who wouldn’t appreciate a gift card?! Who wouldn’t want to get something for themselves on Amazon?! They can put a $25 or $50 gift card towards an Audible membership, Amazon Prime or whatever they’ve got their eyes on! Hope this helped give you all some ideas. 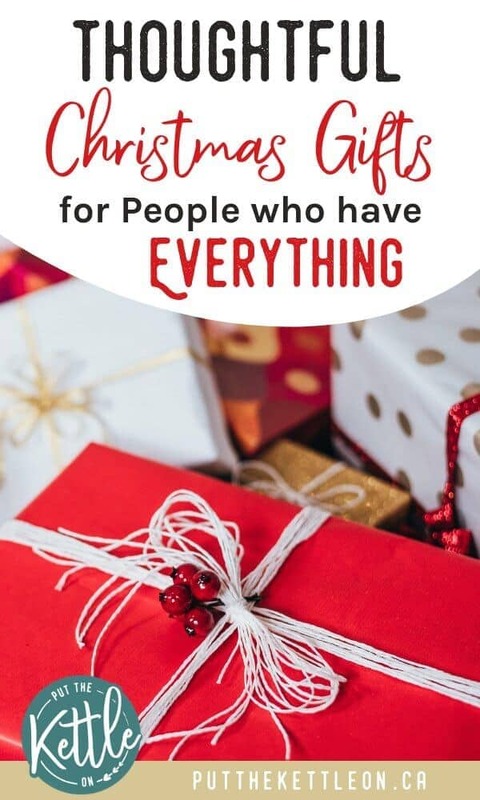 If you have any other unique gifts you’ve come across that are perfect for people who have everything, let me know in the comments below! This is a great list!! 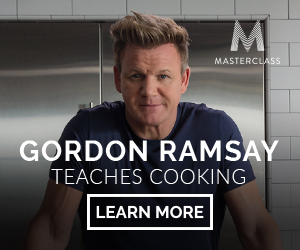 I wasn’t sure what I wanted for Christmas this year and I didn’t even think of a masterclass! Thanks Diane 🙂 Those Masterclasses really are cool! I would love to take the writing course with Margret Atwood. I’d totally ask for that planner for Christmas! I need one of those travel maps. I have traveled to 25 countries so far, and I am hitting three more in the spring. I have been wanting one of those maps for forever. Amazing that you have travelled so much! I have too and I want one of the maps as it’s cool to see just how much of the world we have seen and how much more there is to go! I’d always be happy with an Amazon gift card, or really, any gift card. LOL I also really like the Master Classes. It would be fun to do one of the writing ones, I think. I’ve been seeing the scratch off map. That is such a idea! I know! I just love it. These are all great gifts! I love the teabox.com gift for all the tea lovers I know like myself. I hear you – I would love to have a box of tea sent to me monthly! Hey Layan! I definitely plan on reading it again too 🙂 I feel like I need a highlighter with this book so I can go back and remember key tips and inspiration! Such fun ideas! 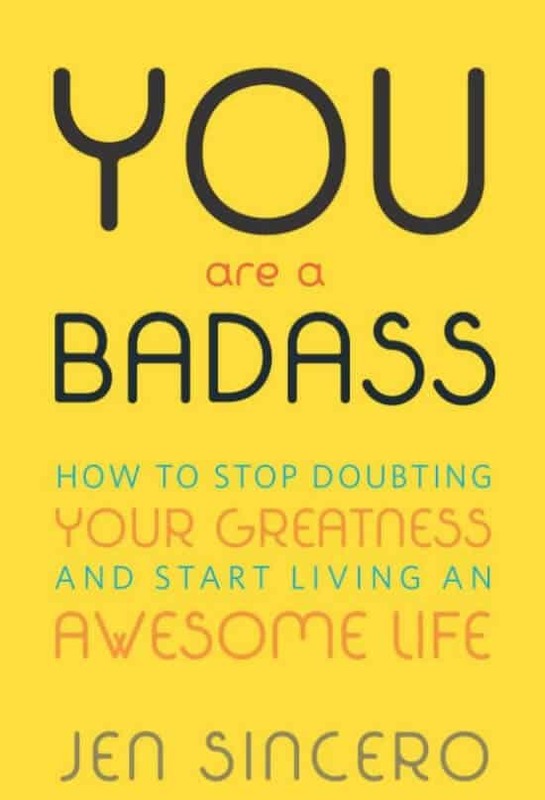 I’ve been meaning to read You Are A Badass for a while now – gotta add that to my wish list! And I think gift cards and subscription boxes are such great ideas as gifts for hard to buy for people. I put together a gift guide of my own for travellers over on https://teaspoonofadventure.com – you might want to check it out! Hey Riana! Definitely give it a read. It’s quite uplifting and grows confidence in a big way 🙂 Thanks for sharing your gift guide. I’ll check it out! Hi Fiorella – I agree. Subscription boxes are such a cool idea and there are so many of them out there now. I LOVE photo calendars and who doesn’t love getting them?! The classes are a super creative idea! Such great ideas!! I particularly loveee the Master Class Idea…this is new to me but I think it has the potential in being such a thoughtful gift! Also love the 52 Lists Books, I have the Happiness one & I love it! You should hint to a loved one! I was just looking for something to get my wife, and I like that 52 list project. It’s so hard to think of gift ideas around this time of year, so I am glad I came across this. Keep up the great work! I love the Masterclass idea and especially the Filming Families segment. Actually I would love to get every one of these gifts. Yes! 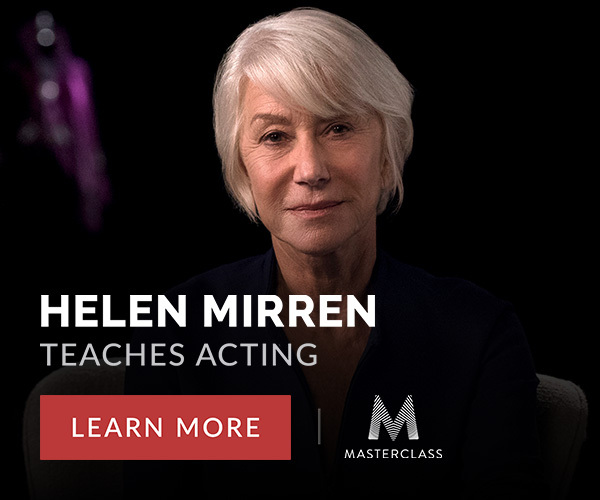 Masterclass is so amazing. I haven’t tried one yet but I would love to do so many of them. 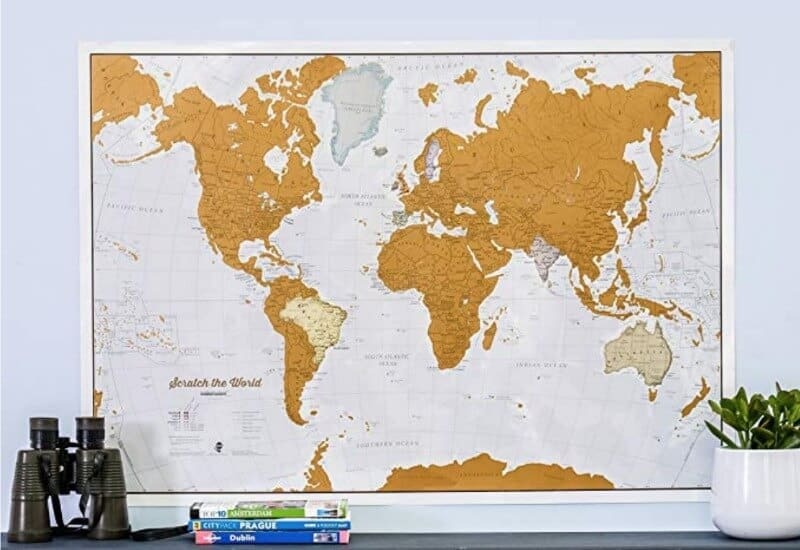 Great gift ideas I have always wanted one of those scratch a maps for my office I think those are so cool. Thanks Jen! I’ve always wanted one of those maps too. You have thought of everything here Yolanda. 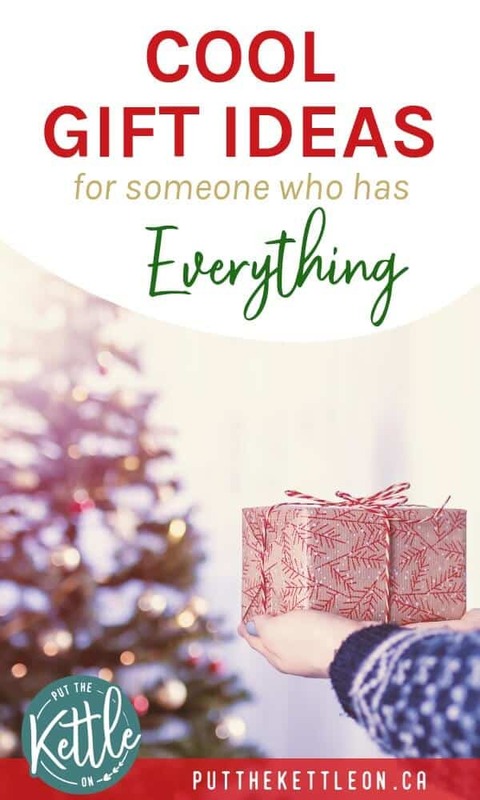 This is truly a comprehensive gift-giving guide, with items that have meaning for the receiver, and not just more stuff! I have the Slay Your Goals Planner and highly recommend it too! I am checking out the Stress-Less Cards for one of my daughters who has high anxiety, thanks for the recommendation! I would love that Badass book! Awesome gift guide! Grrreat book!! Thanks so much Kimmy. Great ideas! 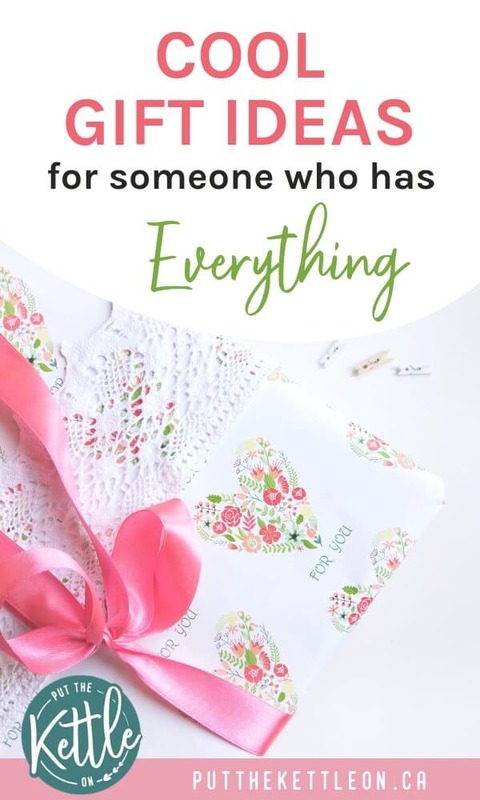 You helped me solve my gift problem… I love the gratitude gifts! Hi Kevin – Fantastic to hear! Glad I could help 🙂 Happy Holidays! !